Stories About Identity Theft - Share Your Story! Do you have unique stories about identity theft to share? Identity fraud cases have become an ever increasing problem. Every time I hear about a large company getting hacked it makes me cringe. I've also been receiving emails from companies that say that they've processed credit card payments for large online retailers that I have shopped at, telling me that my personal information may have been stolen. It's definitely a bad feeling, and has been occurring with greater frequency as technology has been evolving, and fraudsters continue to get more sophisticated. Being a victim of identity fraud is not only a time consuming problem, but can also be extremely expensive. It can have a severe impact on your ability to get a new credit card, a home or auto loan, and even affect your car insurance premiums. Also, many employers now check credit scores as part of their employment background check. So a low credit score can actually prevent you from getting the job you want! Scroll down to share your story about identity theft. At the bottom of the page you can also read other people's identity theft horror stories; they're really quite unbelievable (and scary)! Fortunately, being aware of the existence of identity theft as a growing concern, and how it works, can go a long way to help you to prevent identity fraud. For many of us, knowledge is enough to provide the tools needed to prevent it. There are even a number of things we can proactively do to help prevent identity theft beyond simply being aware of its existence. The three major credit bureaus (Experian, Equifax, and TransUnion) offer free or low cost tools to help, and there are also third party identity theft protection companies available to help for very reasonable prices. Identity Theft Defined - Understand what it is! How To Prevent Identity Fraud - Things you can do to help prevent it. Identity Theft Protection Companies - Services that you may want to consider using to decrease your chance of being a victim. Tell Us Your Stories About Identity Theft! 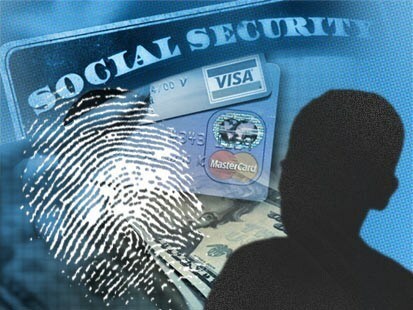 Have you personally experienced identity theft fraud? Please share your identity theft horror stories! Click below to read identity theft stories that other visitors to the site have written!